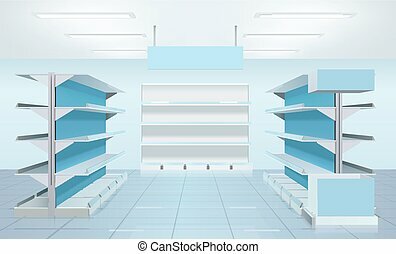 White supermarket shelves. 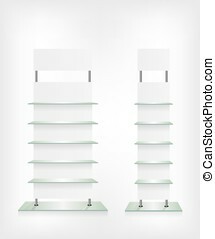 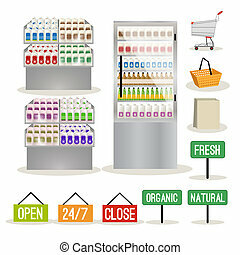 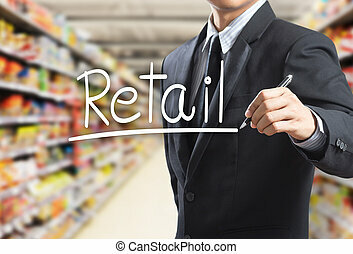 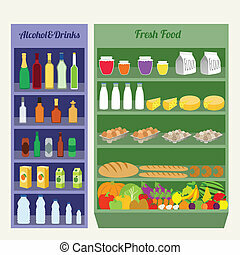 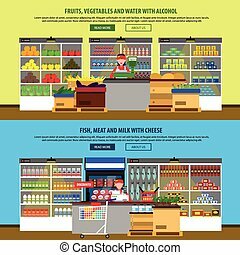 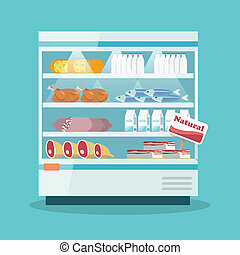 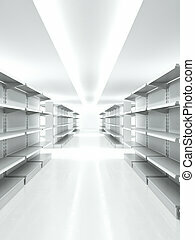 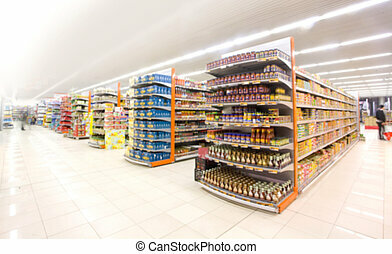 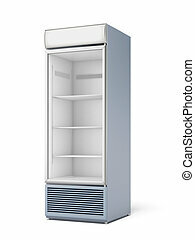 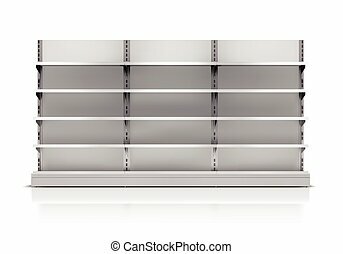 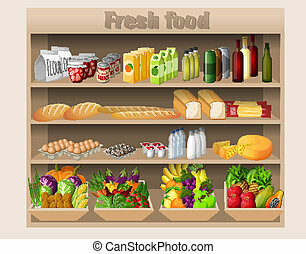 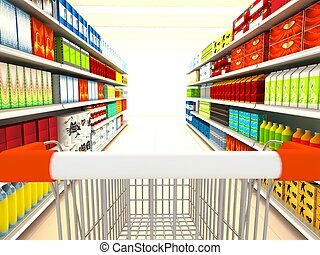 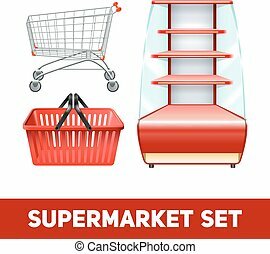 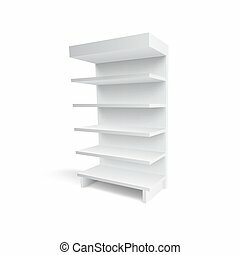 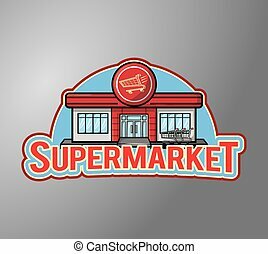 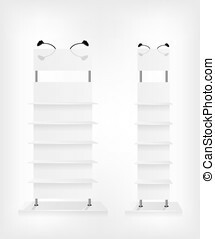 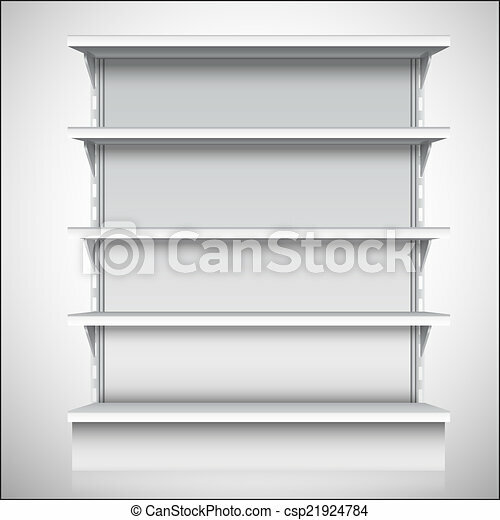 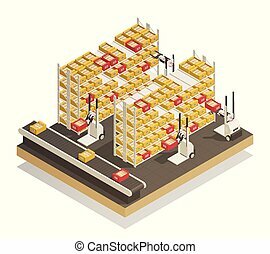 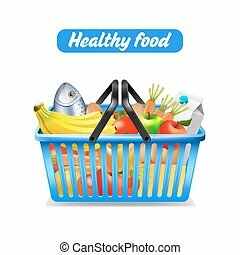 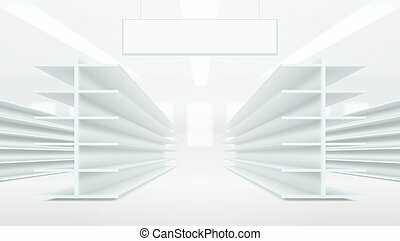 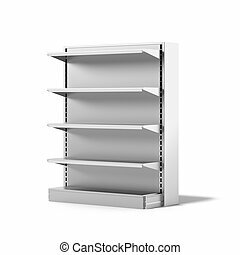 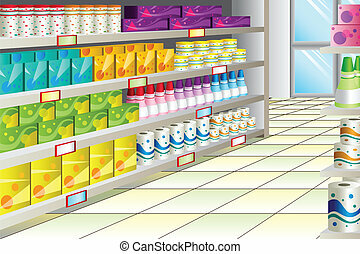 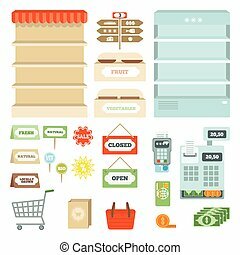 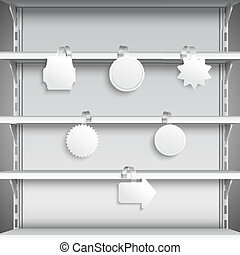 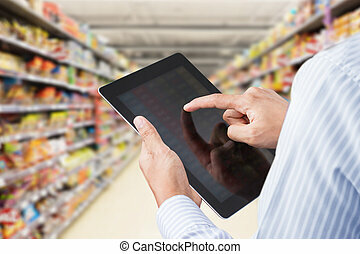 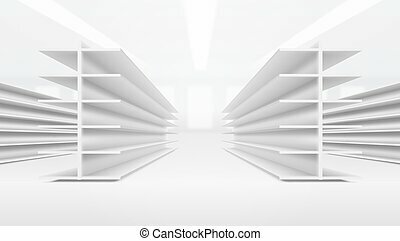 White empty supermarket retail store shelves isolated on white background vector illustration. 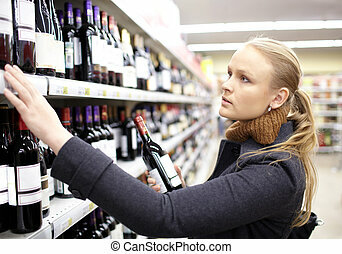 Young woman is choosing wine in the supermarket.